The City launched ThinkChicago: Lollapalooza 2016, through July 29th that brings together 200 of the nation’s top technology, engineering and computer science students to explore Chicago’s vibrant technology ecosystem and attend Lollapalooza – one of the country’s most popular music festivals. This year, ThinkChicago received nearly 700 applications for an expanded program of 200 slots – up from 125 in last year’s program – with selected students hailing from 15 states and 27 universities. The students selected this year come from a wide range of engineering and computer science backgrounds. Of the 200 students, 38 percent are in engineering disciplines, 27 percent in computer science, 16 percent in business, 11 percent in social sciences, 4 percent in economics, 2 percent in mathematics and 2 percent in natural sciences. 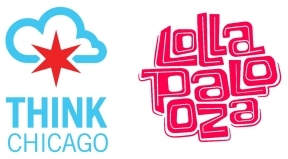 This summer marks the ninth ThinkChicago event held in the city and the fourth annual program held during Lollapalooza. Currently, the number of students who have participated in the ThinkChicago: Lollapalooza program is 550, and a total of 1,150 students when combined with its sister program, ThinkChicago: Chicago Ideas Week, which takes place in October. For more information, visit www.lollapalooza.com or www.thinkchicago.net.